Crab Apple Kids (parent owned and operated) is a unique children's boutique designed for BOYS AND GIRLS. Each piece of clothing and accessories has been hand chosen for our store. Our aspiration is to bring the most beautiful kids clothing with a wide range of prices, directly to your door. When it comes to shopping for clothing for both of my children, I always have a hard time finding the time to get to the store. When I do (on the off chance) find a few hours to make it to the mall, I'm never incredibly impressed with the "cookie cutter" ensembles that await me at the department stores. So, over the past year or so, I have taken to the Internet (from the comfort of my own home~often pj clad and cup of tea in hand) to do the majority of the clothing shopping for our family. Recently while browsing online I came across Crab Apple Kids. With an absolutely adorable selection of baby clothing, Christening Gowns, and Children's Clothing for both boys and girls; the pricing and selection available at Crab Apple Kids is EXCEPTIONAL to say the very least! The Ann Loren Collection in particular caught my eye as they offer precious matching outfits for American Girl Dolls (if there's anything that the princess loves more than the color pink....it's her American Girl Dolls!). 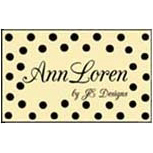 The princess reacted in utter (overly animated) delight when the Ann Loren Leopard Capri Set (pictured above) arrived. She had to (like needed to ) try it right on! I love that the outfit is stylish and dressy, yet offers an everyday-wearable comfort, that I (and the princess) can definitely appreciate.While she loves to be "fashion"(translate: fashionable) as she says (oh' how I love to view the world through the eyes of a toddler)...she also refuses to sacrifice comfort (the princess has the tendency to disregard anything that has the potential for discomfort).Beautiful, girly, and comfortable, this Ann Loren outfit has become a fast favorite in the princess' wardrobe.....she has requested (not so subtly and repeatedly) a matching outfit for her American Girl Kanani Doll for Easter (along with another outfit for herself of course; and maybe another matching outfit for her American Girl!). Our experience with Crab Apple Kids couldn't have been any better! Delightful selection, friendly service, and amazing prices.....could a parent ask for any more?! 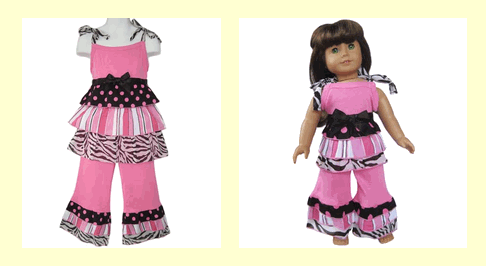 Leave a comment~ Visit http://www.crabapplekids.com/ and let me know which item you would like to add to your child's summer wardrobe. The comment is considered your entry. Entry to this giveaway ends at 12pm PST April 24, 2011. Winner's are chosen randomly through random.org. Winner's may not have won a previous Enjoy Lighting Giveaway. The winner will be announced in a post within 7 days of the giveaway ending, and contacted through email. The winner will have 48 hrs. to respond or another winner will be chosen. What a fun, whimsical dress!